I have a theory that there are two kinds of people in this world: Those who swear by makeup primer and those who can't stand it. I, like my fellow editor Hallie, fall in the latter camp—and I'm willing to bet that ours actually isn't such an unpopular opinion. In fact, I can think of at least one pro who agrees. "It's been a long journey to find a primer that I actually like," says makeup extraordinaire Joey Maalouf. "And I ultimately couldn't find one that was the right texture or consistency for me or my clients." The only solution was to take matters into his own hands—by formulating a game-changing new primer for ISH, Maalouf's makeup range with FabFitFun. Sure enough, all of our misgivings about primer were shattered as soon as we gave this lightweight, silicone-free gel formula a try. Keep reading to get the details. Here's the thing: "Priming" our complexion for makeup involves nourishing and deeply moisturizing it to provide the smoothest base for foundation possible—and yet, many primers tend to just sit on top of our skin as an eerily smooth, heavy layer, basically negating all this TLC. The goal with the ISH primer, Maalouf tells us, was to craft something simple and nourishing that would still keep our foundation on lock. The ultra-light gel does exactly that. "When you use it, it's wet for a second—it has a cooling effect that feels really good," he says. "But then it absorbs into your skin so quickly, so you can really go right into foundation, concealer, powder, and be down." Basically, it's a quick-drying moisturizer that turns your skin into a long-wear base. Creating the primer of his (and our) dreams didn't happen without obstacles along the way. "All the manufacturers were obsessed with adding silicone," Maalouf says—the synthetic compound responsible for that impossibly smooth finish in a lot of makeup and hair products. "It of course feels ridiculously perfect when you put it on," he adds. "But then I could still 'feel' it afterward." So he kept pushing until they finally got a formulation that still achieved a poreless texture but absorbed into the skin instead of sitting on top. "I wanted it to be healthy and baby-soft, rather than silky and fabric-soft." With water as the chief ingredient, as well as minerals and brightening components like citric acid, the long-wear formula really does hydrate and correct your skin as you wear it. 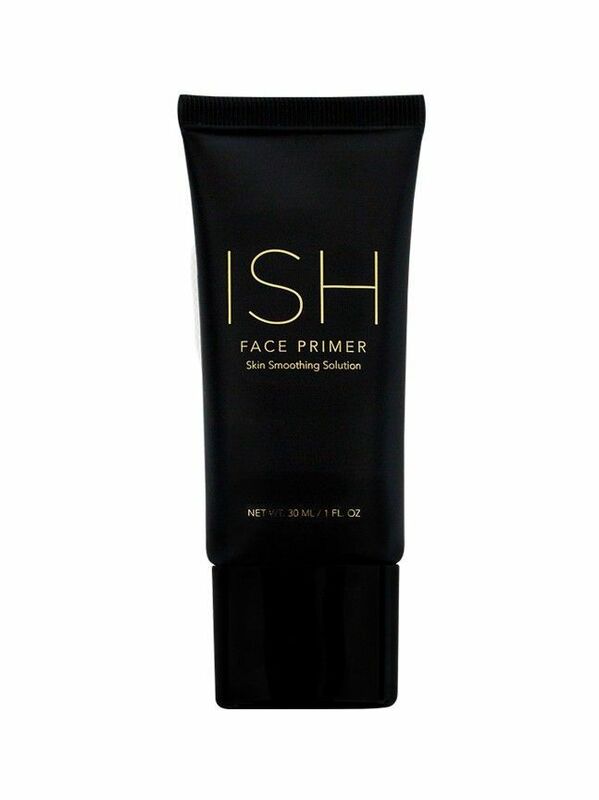 Imagine that—a primer that finally does what primers are meant to do. Want a parting pro tip? Maalouf advises wearing the ISH primer either alone, as a base for foundation, or mixed right in with your go-to tint. How you wear it is ultimately up to you—either way, we're guessing you'll be as impressed as we are. Do you have a go-to primer? Call it out in the comments below.